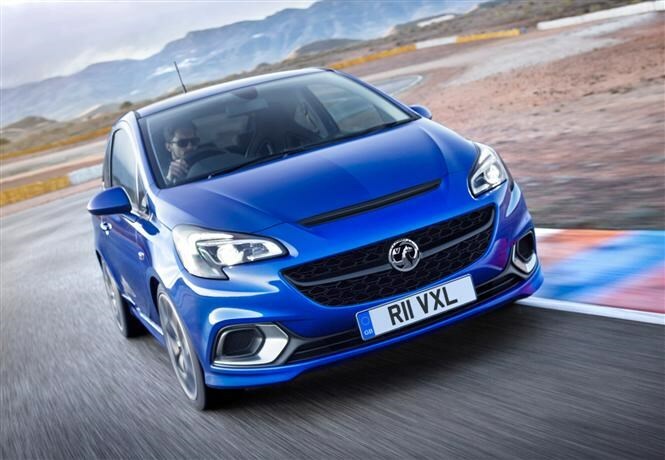 The new Corsa VXR has been given a power hike in order to compete with its hot hatchback classmates. 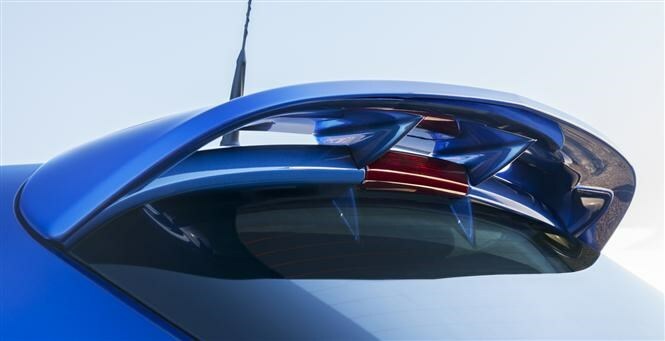 A big spoiler, muscular bumpers and twin exhaust pipes will help it stand out from the standard car. With a 0-62mph of 6.8 seconds the new Corsa will be able to sprint with its rivals, including the Ford Fiesta ST, Peugeot 208 GTi, and VW Polo GTi. However its claimed economy of 37.7mpg lags behind those three, which all promise something in the high 40s. It’s also quite a bit more expensive to tax due to CO2 emissions of 174g/km. Power comes from a 1.6-litre turbocharged engine, through a six-speed manual gearbox to the front wheels, much like the outgoing VXR. This time around the engine delivers its 245Nm of torque at a lower rpm and an overboost facility temporarily hikes torque by 35Nm to help with overtaking. The Performance Package is once again available as an option, bringing with it a Drexler limited-slip differential for better cornering, larger 330mm-diameter Brembo front brake discs, 18-inch alloy wheels, and more focused suspension settings. The Corsa VXR promises good body control as well as comfortable ride quality, a combination not often seen in hard-hitting hot-hatchbacks, thanks to new dampers from specialists Koni. Vauxhall says the steering is more direct and precise, with improved feedback through the wheel. In addition for the first time in a Corsa you will be able to tailor the electronic stability programme and traction control, by turning the electronic intervention down, or completely off. Six paint colours and bi-xenon head lights are standard, as is an aggressive new front-end with large air intakes and an aluminium-framed opening. At the back, that spoiler on the boot lid provides “meaningful downforce”, while twin Remus exhaust pipes provide performance car kudos. 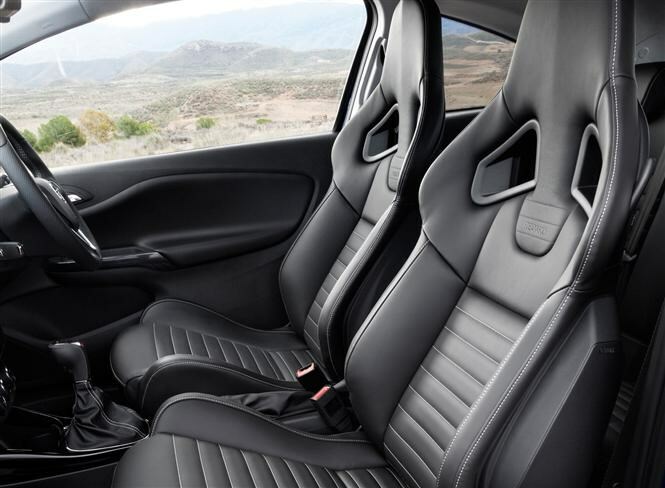 Inside the VXR benefits from Recaro seats, a flat-bottomed leather steering wheel and sports pedals. A heated front windscreen and Intellilink connectivity for Apple iOS and Android smartphones are also standard. 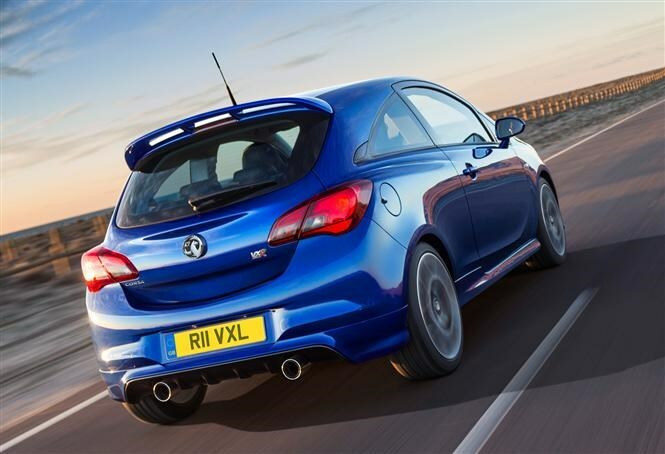 The new Corsa VXR will be revealed at the 2015 Geneva Motor Show in March and on sale from May.